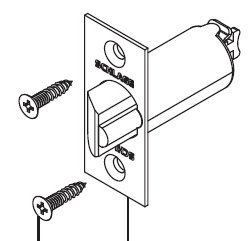 Resolution: The AL-Series has four distinguishable parts that can help in lock identification. 1. 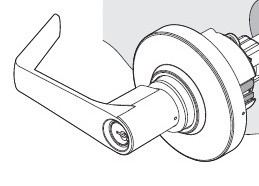 The AL-Series will have a castle nut holding the chassis on the door, see Figure 1. An ND lock will not have a castlenut but the discontinued D Lever will have one. 2. 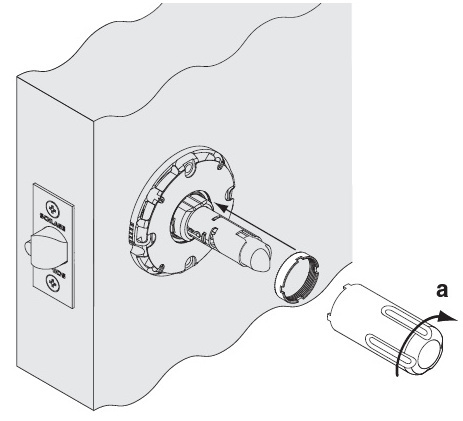 The cylinder is not flush with the face of the lever but recessed, see Figure 2. This is unique only to the AL for Schlage cylindrical locks. 3. 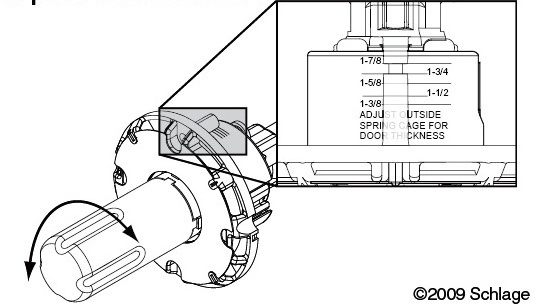 The chassis housing has markings for door thickness, see Figure 3. This is unique only to the AL for Schlage cylindrical locks. 4. The deadlatch has only one latch tai, see Figure 4 (T-bar coming at the back end that engages the chassis retractor). This is unique only to the AL for Schlage cylindrical locks.